Would you like the best roofing contractors Bournemouth has to offer? 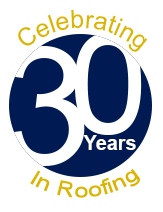 Choose ProRoofing today as we have over 30 years of experience in the industry. We provide a wide range of roofing services from installation, repairs and maintenance. Our team have the experience to complete all roofing works to the highest standards. At ProRoofing, we are experts in all types of roofing maintenance, repair work and construction. Our roofing contractors in Bournemouth cover all roofing services you can think of from roof repair to English heritage specialist roofs. Over the years in the roofing industry, our craftsmen have completed roofing projects for commercial, domestic and industrial properties. Whatever the shape or size of your roof is, or whatever roofing material has been used, we offer the best solutions to roofing problems. One of the most common reasons our commercial and domestic property clients employ ProRoofing is for us to complete roof repair works. In the past, some of our roof repair projects have included replacing loose interlocking tiles, plain tiles, and pan tiles; realigning the structure of the roof, repairing lead work, redoing traditional felt roofing and the laying of rubber sheet (EPDM) roofing for flat roofs. 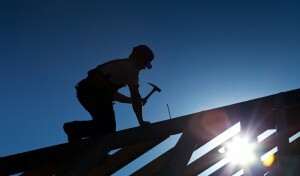 During our time in the industry, we have completed a large number of new roofs for new build developers. Our work never becomes sloppy over a long period of time, and we make sure each roof looks just as brilliant as the one we built before it. There can be disadvantages to having a flat roof on your property. Flat roofs are famous for cracking and leaking and often need to be replaced. Fortunately, at ProRoofing, we have the solutions the fix all of the problems with flat roofs. One of the most cost-effective and efficient ways of making your flat roof more resilient is to cover it in fibreglass GRP. When we apply this method to your flat roof, no repair will be needed for up to 50 years due to how strong fibreglass is. When you hire ProRoofing to complete your roofing needs, you can rest assured you are hiring the best roofing contractors in Bournemouth. With over 30 years’ experience, there is no roofing job that our contractors can’t or won’t handle in a professional manner with expert results. We are so confident in the excellent standard of our work that we give every customer a minimum 10 year guarantee on each completed job. When you need your roof to have work completed on it, we will visit your property to conduct a structural survey to access the extent of work that needs to be done. Following current health and safety rules is incredibly important to our company, not just for our team members, but to ensure your safety too. In the instances where we are not able to access your roof in a safe and secure manner, we will construct specially designed scaffolding to fit around your property. The scaffolding allows our team to have a sturdy area to stand on while they do the work, and space for their equipment and tools. For your free consultation with the best roofing contractors Bournemouth has to offer, speak to a member of our friendly team today on 01202 515566.